2018.02.27 ～ 03.01，the Spring Festival holiday has not ended yet. Winson's exhibition staff has arrived in Germany and participated in the 2018 German Retail Technology and Equipment Exhibition with many outstanding companies and their counterparts. The exhibition included more than 530 retail technology companies from 29 countries and regions, exhibiting an area of ​​over 10,000 square meters, exhibiting the latest retail solutions to the industry, and viewing over 11,000 spectators from about 50 countries. Winson has been deeply involved in the bar code identification industry for many years and has benefited from many excellent companies. The winson exhibitors enthusiastically communicated with the audiences around the world, explained the performance of the different types of products of Winson, the application environment, etc. The products were also recognized and supported by many customers. High-precision barcode identification scanner for identification of passports.When security personnel hold the WNI-7100-OCR, scan the characters on the passport on the check paper, determine the shape by detecting dark and light patterns, and then translate the shape into computer text using the character recognition method, then the information on the clearance personnel can be performed. Checking has greatly improved the speed of clearance. Because QR codes store more information than one-dimensional bar codes, they are more secure and more convenient to use.China's mobile payment technology is developing and spreading to the world. The application of QR code payment code payment is increasing, and mobile payment will have a more extensive outbreak in the world. Among them Winson QR barcode scanner adopts the image technology and the intelligent image recognition system to integrate the high performance processor and the decoding board, has solved the trouble which the bar code breaks down, the clarity is not enough and cannot identify. The 2D barcode scanner can identify one-dimensional barcodes and QR codes commonly used in the market, freeing up hands, and easily handling issues such as cash register, inventory, logistics tracking, and drug differentiation. Winson's red light scanner uses CCD image acquisition technology to scan code speeds up to 350+50 times/sec. Not only can identify computer, mobile phone screen one-dimensional bar code, can also identify paper one-dimensional bar code, Asian silver paper, plastic packaging bar code, broken code, fold code, dirty code, reflective material bar code and so on. Applicable to business ultra mobile payment, inventory, logistics express, industrial production lines. All of Winson's scanning guns are made of imported ABS materials, shock-proof design, and soft rubber protection at the joints; C&K buttons are durable and have longer product life. The product can withstand free fall at a height of 1.2 meters at least, and the scanning performance is still stable. In addition, Winson also has bar code recognition modules, scanning platforms, etc. that are not used in the application environment. 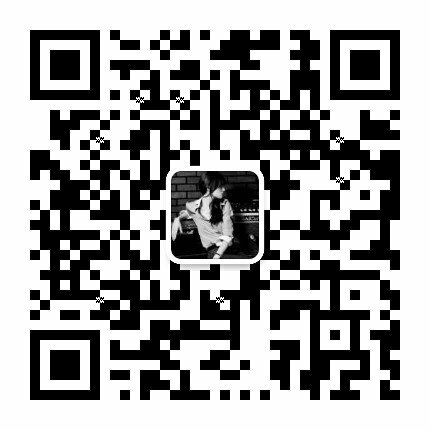 Winson barcode scanning product system software, hardware, appearance, injection molding, model and other personalized customization, welcome to consult! Guangzhou Winson Information Technology Co., Ltd. has been focusing on bar code reading equipment for more than ten years and was founded in 2011. It cooperates with many excellent companies and provides various types of high quality bar code scanning products and professional industry solutions and has received praise. Support and assist government administration, medical and health care, logistics express delivery, chain retail, O2O scan code payment and other industries management. Winson continues to move forward, only to provide more sensitive and accurate products and better services continue to work hard.